Calling all BWIP Members, past and current! For the month of May, we are offering $5 off any membership renewal! Whether your membership has lapsed or you just joined last month, consider renewing in May. If you membership is still active, your renewal will extend your membership for another year beyond your current expiration date. Our members are the reason we are able to do what we do. We want to say thank you to all those that have joined BWIP and supported us over the last 3 years. We want you to continue to benefit from membership with our chapter. Even those that may no longer need to do carrier research or whose little ones have grown and are no longer so small! Your membership with our chapter allows us to continue to provide and expand our education and support outreach throughout our community. It allows us to replenish and build up our library. It assists us in finding better, more appropriate space to continue to meet the needs of our community. It allows us to share the love with more caregivers and keep reaching more who may not have known all the benefits of babywearing. This is an amazing opportunity to help our chapter build on the work of the last three years and keep us growing and expanding to reach more wearers where they are at. If you have appreciated having our chapter here, please consider renewing your membership during the month of May. If you found our carrier library helpful on your babywearing journey, please continue to support our chapter by renewing. 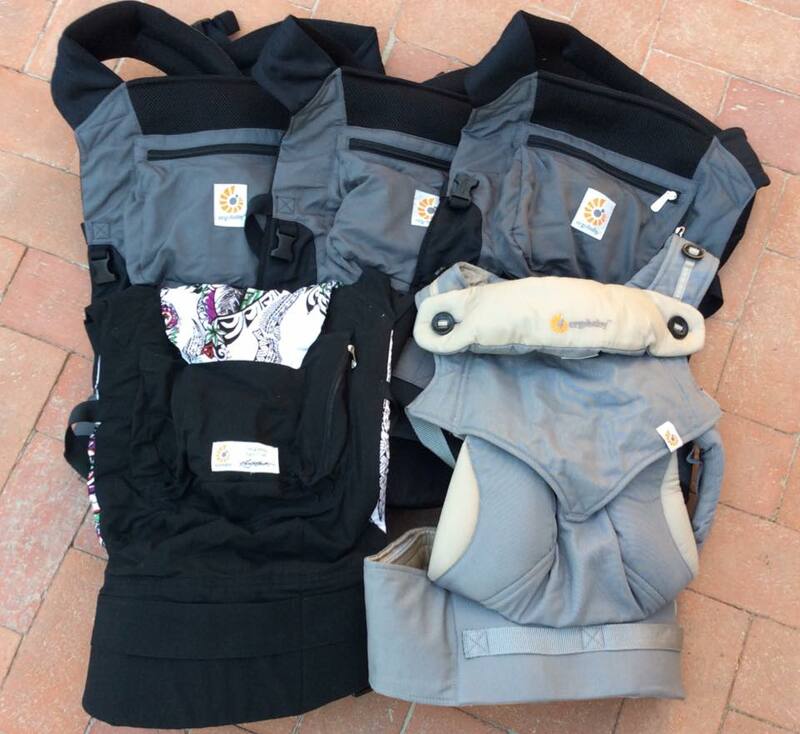 If you just love to share the babywearing love and support, renew today! This special applies to any current membership renewals. Even if you are not yet up for renewal, renewing now will directly benefit our group and the extra year will be added on to your current membership (i.e. if your membership is up in Oct 2015, renewing now in May will extend it until Oct 2016!). What are you waiting for??? Renew today by emailing us or renew at any meeting this month! Need more incentive to renew? 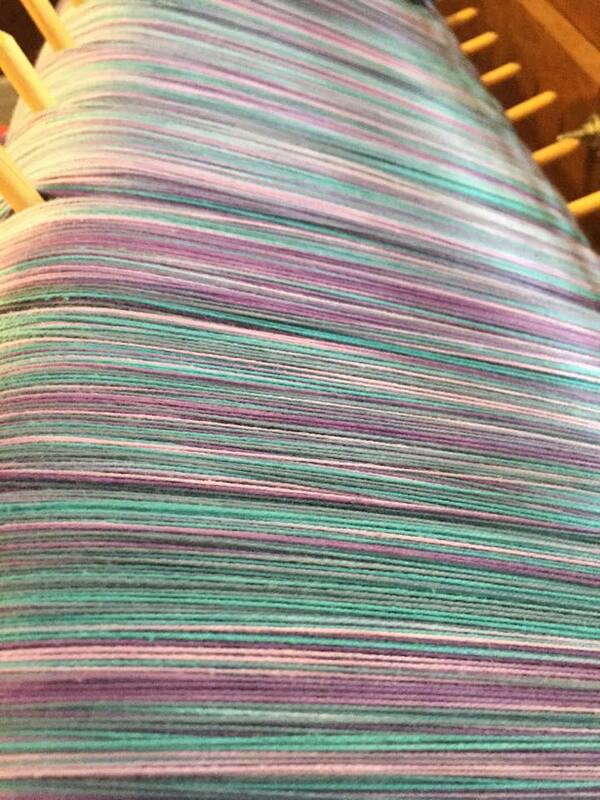 During the month of May, we will be raffling off 2 items from Whisper Wovens, eligible only to those that renew or join in May. There are two items in this drawing - a handwoven tote bag (retail value $55) and a handwoven wrap conversion ring sling (retail value $230)! These are beautiful handwoven items!! 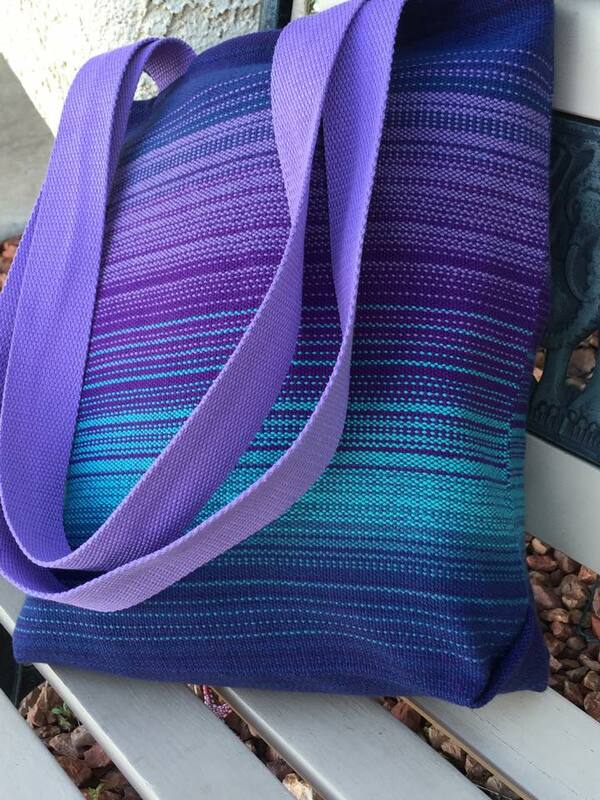 Colors of ring sling material shown at left and right, with tote bag at center. Two winners will be chosen, with first winner getting their choice of prize. Winners will be randomly selected on June 1. Winners will have 48 hrs to respond, or an alternate winner will be selected. Shipping is available for an additional fee if needed. 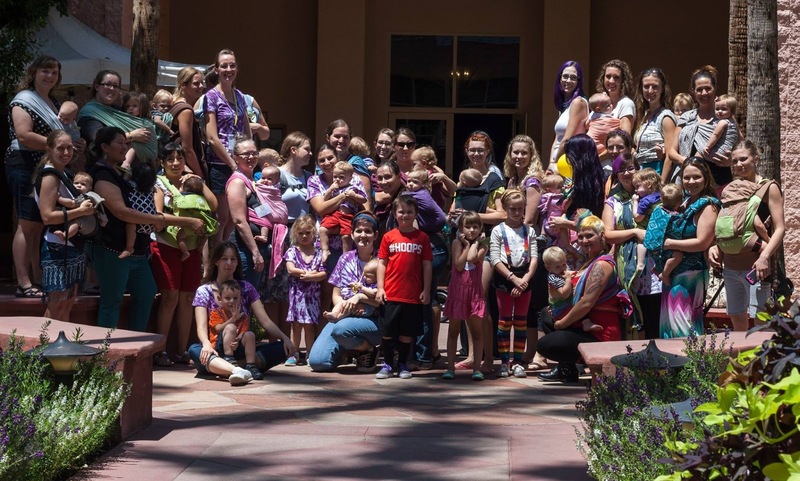 We are Babywearing International of Phoenix (BWIP), a chapter of the international group, Babywearing International. You can learn about the international group, along with the mission statements, guiding principles, and more here. You can learn more about BWIP on our Website, Facebook Page, or Group. Our leaders, whom you can read more about here, are all volunteers with a love and passion for babywearing. They donate their time, energy, and knowledge to hold the five monthly meetings and various play dates in Phoenix and the surrounding cities. These meetings are always held in public locations, free to any who may wish to attend. We also have a 'library' of carriers available at our meetings to try on and get help with; these are also available for our members to borrow (more info about this benefit below). We also present Babywearing 101 to breastfeeding support groups, moms' groups, local retailers, and at other public events. We speak at 2-3 of these outreach events each month. So join or renew today by emailing us, or at any meeting this month, to help us fund more babywearing love!!! Membership with BWIP is $30 per year. More than half of that ($20) stays with the local chapter you sign up through to help fund the purchase of new carriers, business cards for members to hand out, and more. The other portion is remitted to the national group to help fund organization-wide literature, on-going education, and outreach, among many other things. All of the people working for this organization, from the top chairwoman to the smallest chapter leader, all are volunteers! Purchasing a membership with BWIP, along with helping to support babywearing at the local level and beyond, also has great benefit to caregivers. Your membership allows us to grow our library, expand our educational and outreach efforts, provide more appropriate meeting space (especially in summer), create informational items available to all to help spread the word about our chapter, and more. One of the most used benefits to membership is that it allows you to borrow a carrier from our lending library at any meeting for up to a month (30 days or so) at a time. Our library is present at all of our meetings, but can vary depending on what is checked out at any given time. Any carrier checked out is due at the next month's meeting in that area, or any other meeting prior to that. You are then able to check out a different carrier, and so on and so forth. You could potentially try out 12 or so different carriers during your membership, each for a month at a time! 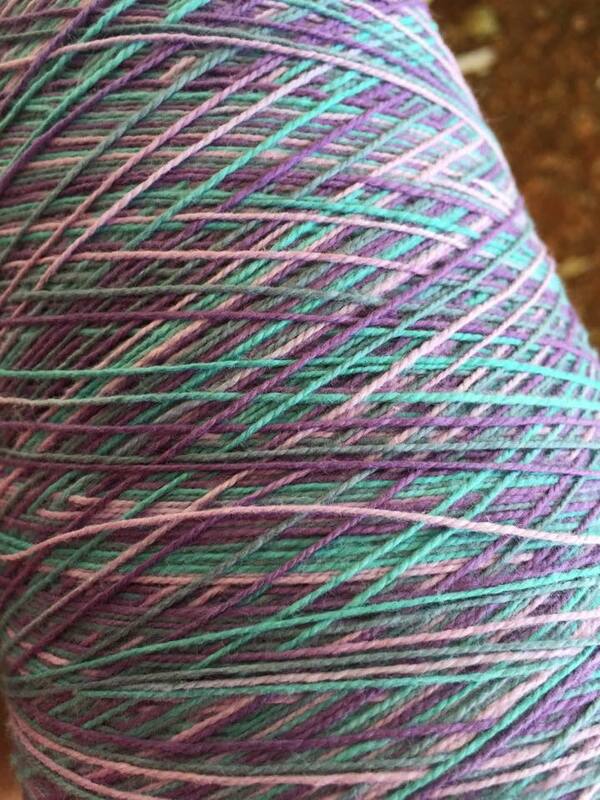 What a great way to 'try before you buy' and find out what you love! There are also member only events held occasionally throughout the year, extra incentives during our special events (such as additional raffle tickets), and wider benefits like discounts at the International Babywearing Conference held every two years in different parts of the country. All for only $2.50 a month, which all goes to help share the babywearing love in your community and beyond. Spread the word! The more members we have, the better equipped we are to support babywearing advocacy and outreach, and with your membership renewal we will also have the ability to expand the lending library to meet the needs of our growing Phoenix babywearing community!